Home > Events > Special Events > $2000 MEMBER’S EASTER CASH DRAW! 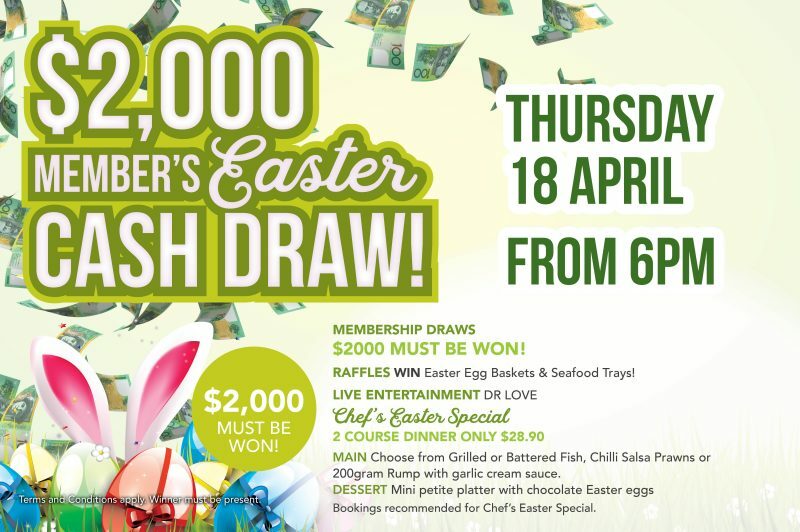 $2000 MEMBER’S EASTER CASH DRAW! Be at the club on Thursday 18th of April for your chance to win $2000 in our must be won Membership draw. Along with this amazing $2000 Membership prize, we have the fab Dr Love to entertain you from 6pm! 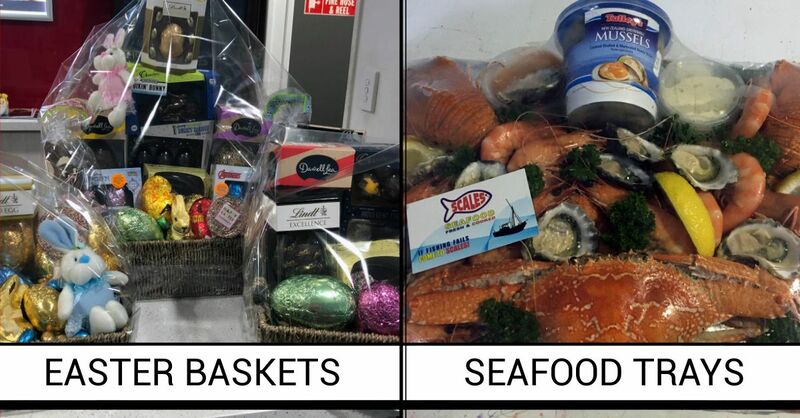 Easter Raffles on the night will consist of seafood trays and yummy Easter egg baskets, with tickets sold from 5.30pm. Dessert – Mini petite platter with chocolate Easter eggs. Bookings recommended for the Chef’s Easter Special. Please be advised that the regular Thursday 2 for 1 dinner special will not be available during this event.